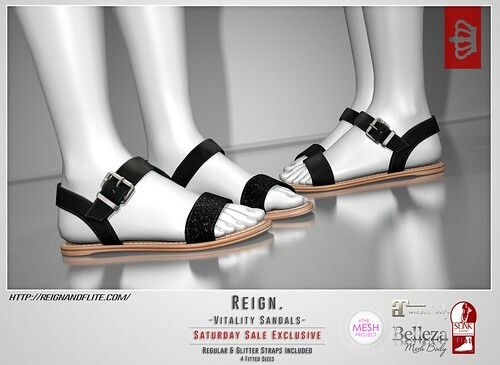 This week’s Saturday Sale Features The Vitality Sandals. Each pair includes a Glitter and Leather Front Strap option. 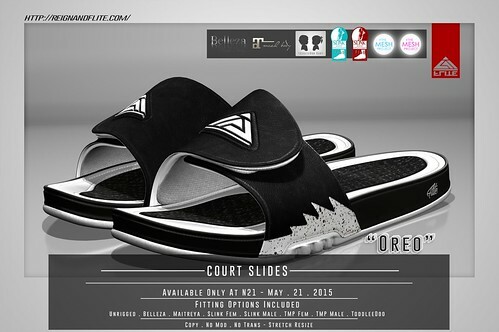 Belleza, Maitreya, Slink, and TMP sizes included. Available in Black, Bubblegum, Tan, Teal, Orchid, and White. Only 75L today for THE SATURDAY SALE!! We would like to thank everyone that visited the April Round of N°21 and of course the designers that took part in the exclusive round. Please remember that those items that were exclusive to the April round will not be seen again in the Stores. We are really excited for all of the Fun things coming in May so stay tuned for an exclusive peek at what’s to come! The May Round will open May 21st at 12pm Slt.